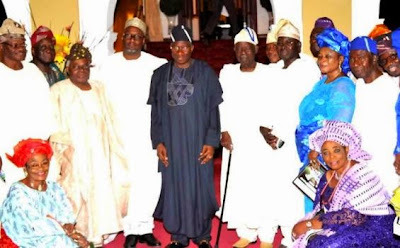 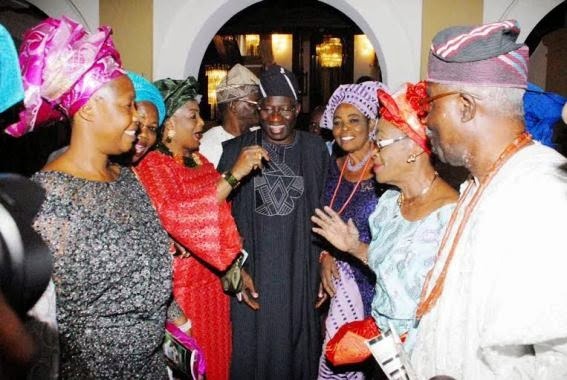 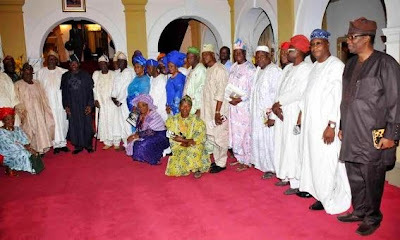 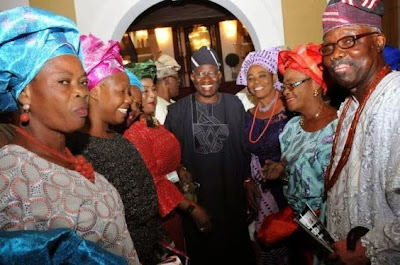 President Goodluck Jonathan met with members of the Yoruba Council of Elders at the State House in Marina, Lagos yesterday during Mr President's visit to Lagos to commission the newly acquired Naval ships for the Nigerian Navy. 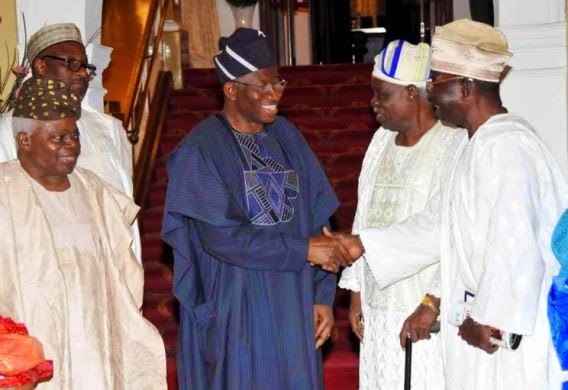 On the other hand, the chairman of the Yoruba Obas Conflict Resolu­tion Committee, Oba Obateru Akinrun­tan, said Nigerians should not think that for­mer president, Chief Olusegun Obasanjo, and the incumbent, Dr. Good­luck Jonathan, are en­emies. 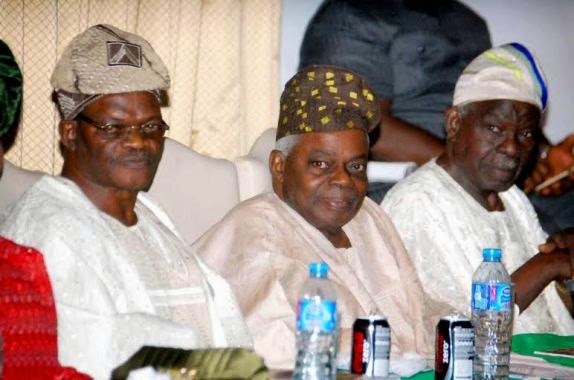 Speaking after a meeting of the committee members in Ibadan yesterday, he disclosed that the duo would resolve their differences. Checks by Daily Sun re­vealed that many Nigerians believed that Obasanjo, who dumped the Peoples Demo­cratic Party (PDP) earlier this week and Jonathan, who is the PDP presidential candidate for this year’s general elections had fallen apart. Akinruntan, the Okoro Agija 1, who is the Olugbo of Ugbo Kingdom in Ondo State, noted that Obasanjo and Jona­than knew how to settle their differences, adding that the committee wanted peaceful conduct of this year’s general elections.